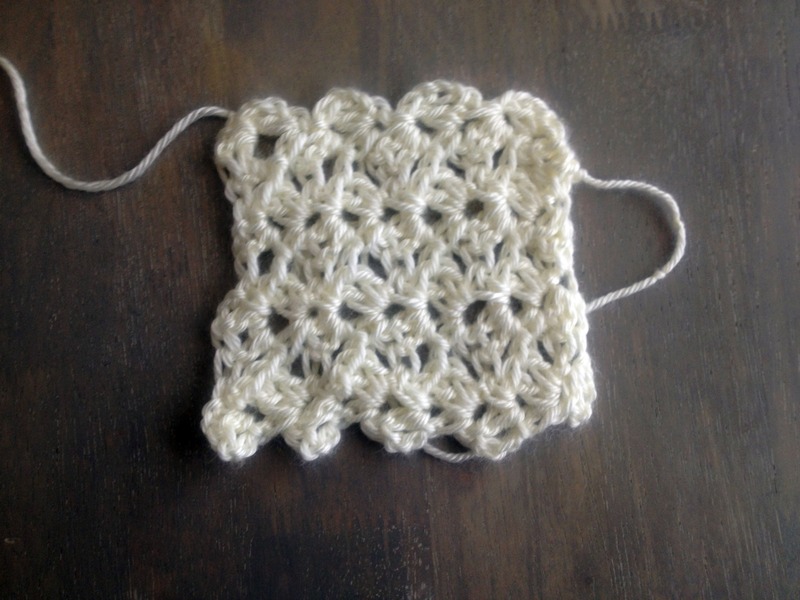 Knitting and Crochet Blog Week 2013: Day 1! Hello all! For the fun of it, I decided to join in on this year’s Knitting and Crochet Blog Week. You can find the details (as well as some really cute patterns) at Eskimimi Makes! A couple years ago when the first Despicable Me came out, I fell madly in love with the minions. They are so cute! I’ve told my family on several occasions that I would watch a whole movie, 2 hours or longer, of just minion antics. Obsessive? Probably. Then a couple months ago, I was so excited to find out they’re releasing a sequel! I can’t wait to see it! Ugly, wonky swatch. Can you tell which end mom started? As most people around me know, I hesitate at the word “crochet”. All I picture are granny-square afghans for miles. Recently, though, I visited my mom and spotted her working on a baby blanket. There was nothing “granny square” about this blanket. It was soft, elegant, and enchanting looking. Dare I say, it almost looked like Emma’s blanket from the ABC show Once Upon a Time.